Create a less cluttered, more efficient laundry area, so you can easily get this chore done fast. Whether you have a small closet or a large room devoted to doing the laundry, chances are that you want more storage in your laundry area. 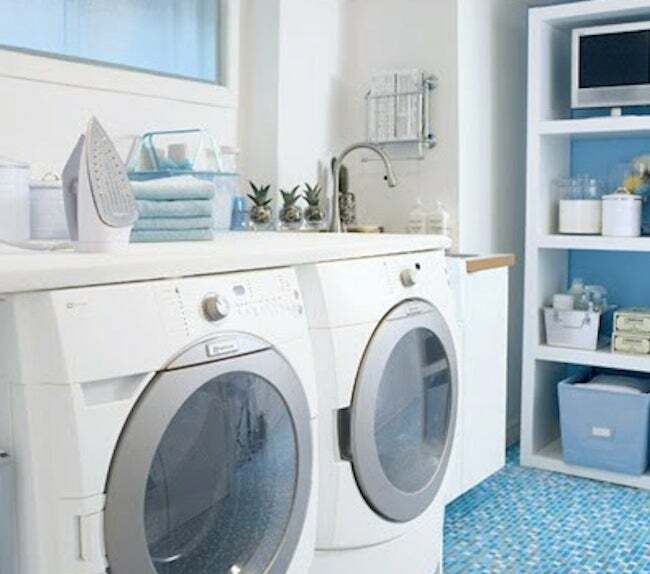 While there’s no avoiding this chore, having a more functional and efficient laundry area can at the very least make the task less of a nuisance. 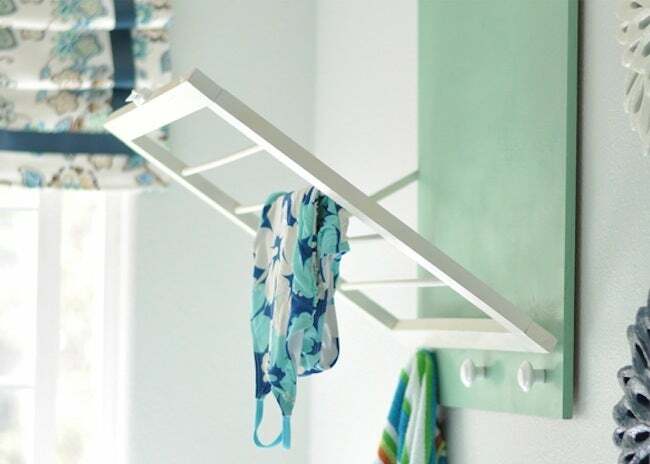 These DIY laundry room storage solutions won’t necessarily make you love washing your clothes each week, but they can assist in you completing the job more quickly and with a minimum of headaches along the way. How many times has one of your favorite shirts emerged from the dryer two sizes too small? The surefire way to protect delicate articles of clothing from a similar fate is to let them air-dry. Centsational Girl shows how you can build your own wall-mounted, fold-out, space-saving drying rack in no time. Make the most of every inch with this simply genius DIY laundry room storage trick. If your washer and dryer are front-loading, they can easily support a combination countertop-ironing board. Yes, you can finally say goodbye to that clunky, creaking, stand-alone ironing board that you loathe to unfold. 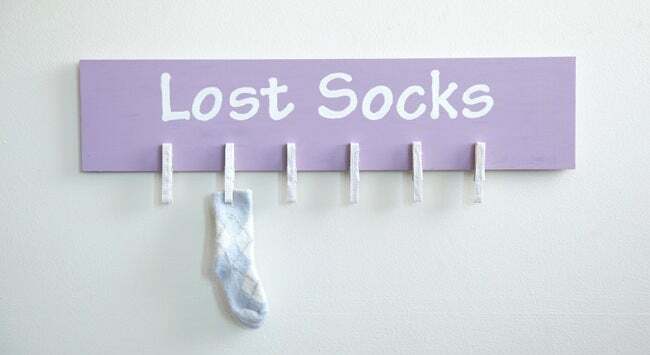 Few things are certain in life, but besides death and taxes, you can also count on occasionally losing a sock or two in the wash. Here’s a project that can help ensure a happy ending for incomplete pairs: Build a board to serve as a DIY laundry room storage area for single socks in search of mates. The dead zone above side-by-side washers and dryers is especially frustrating where floor space is limited. 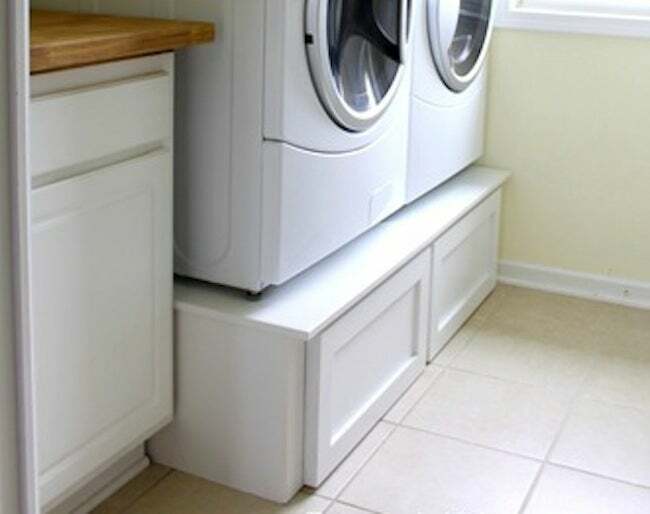 Installing cabinets beneath laundry machines is smart for two reasons: Not only do such units add storage space for supplies, but they also eliminate the need to hunch over when loading and unloading. 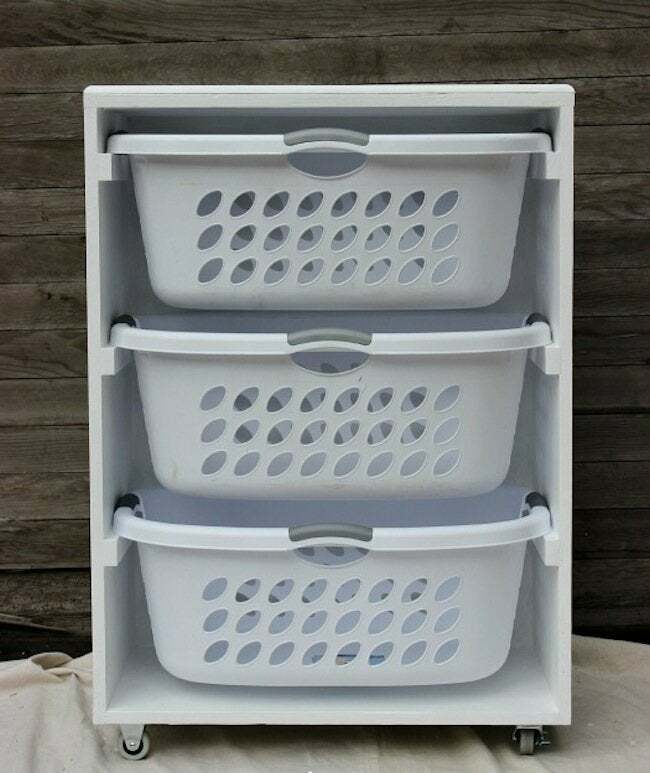 From Hoosier Homemade, this DIY laundry room storage cart can be modified to hold as many baskets (or shelves) as desired. Designate one compartment for each family member, or use the sections to separate whites, colors, and delicates. The best part? Casters make the cart effortlessly easy to move.